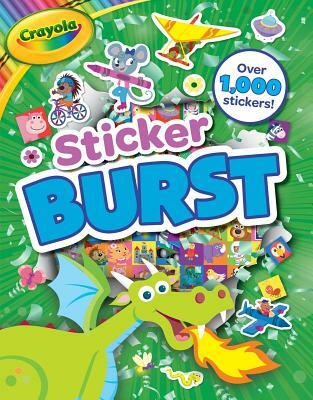 A colorful sticker and activity book is here from Crayola with over 1,000 stickers! In this activity book packed with mazes, spot the difference games, guided drawing activities, and more, kids will have fun playing with stickers and solving puzzles. Crayola's vibrant colors come through on every page and the simple text is easy to read. The book is filled with animals, aliens, and mythical creatures, making its engagement fun and fantastic for kids. This is an integrated, creative experience that's sure to be enjoyed!